Poor air quality causes over 7 million deaths a year worldwide, especially in large cities. 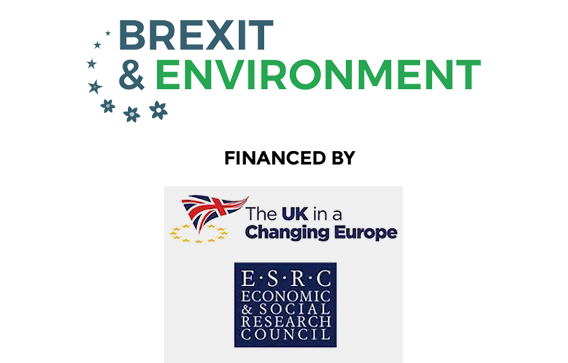 After Brexit, a critical environmental challenge will be urban air quality, with the EU’s Air Quality Directive no longer having direct effect on UK law. Moreover, as a global problem, urban air pollution is coming up the agenda of bodies like the World Health Organisation (WHO). Even with stringent legal requirements, EU cities have consistently failed to meet WHO targets. Could Brexit pose an even great challenge to the urban air challenge, or might there be opportunities as well? 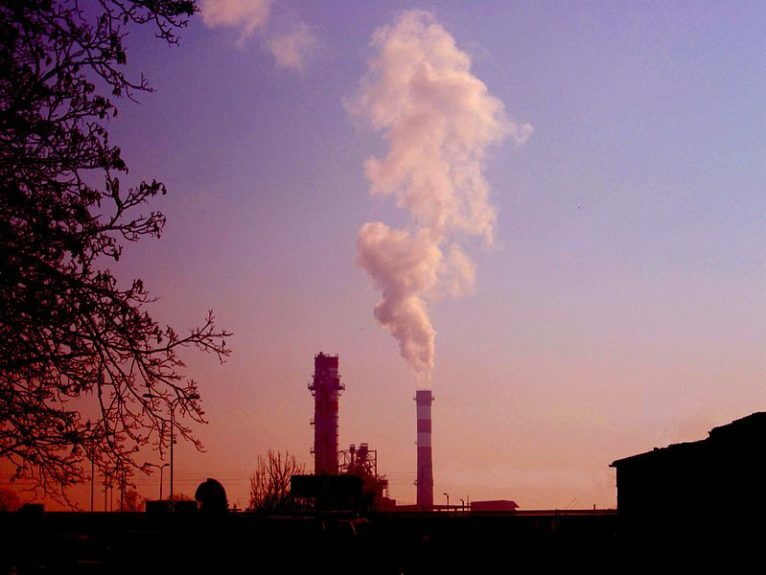 There is extensive evidence documenting what causes urban air pollution, and its damaging effects, with clear implications for prevention strategies (emissions taxes, public and industry awareness, and uptake of clean transport). But cities around the world (not least London) have faced challenges in improving air quality, despite adopting strategies to do so. Our new research project – Making Air Pollution Matter – aims to contribute to solving this problem by looking at the best institutional conditions for improving air pollution governance in urban areas. In January, the British government announced its Clean Air Strategy in an attempt to drive forward improvement. The Strategy called for ‘leadership at all levels’, specifically establishing an Office for Environmental Protection, ‘ensur[ing] responsibility sits at the right tier of local government and back this up with new powers’, and working ‘in partnership’ with the Scottish, Welsh and Northern Irish governments. 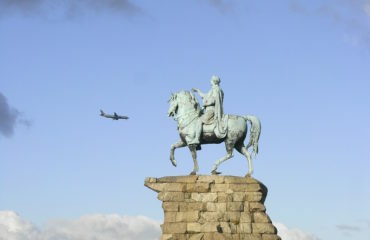 The Clean Air Strategy is largely in line with scientific evidence about the complex, transboundary nature of air pollution. However, it raises questions about what types of governance will be best for implementing technological improvements. In a recent survey of top academic journals related to governance and public over the past 15 years, we found very few articles where air pollution was treated as a specific case study, and even fewer where the governance arrangements for air pollution were analysed. To help fill this gap, our project begins by developing some initial understanding of the different ways in which air pollution is governed, across high, medium and low income countries. In unitarian political systems, urban government might be given responsibility for monitoring air pollution and meeting targets, but the central state directs resources and can revoke resources unilaterally. In our project we are examining London (United Kingdom) and Nairobi (Kenya), two examples of this approach. In these cases, urban authorities have autonomy and responsibility for implementing air quality directives, but are frequently constrained by limits to their budgetary capacity. 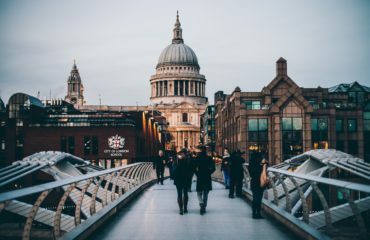 In London, Mayor Sadiq Khan created a new Environment Strategy in May 2018 aimed at reducing pollution in the city centre, but the resources available to implement this have been limited. Both cities have some local resources available, but these are precarious and lie in the shadow of central government approaches, which take priority. In federal countries, cities often have high levels of autonomy over air quality management, and extensive resources to integrate a diverse range of local stakeholders. In the project we focus on two federal cities – Denver (United States) and Abuja (Nigeria). Both cities have substantial autonomy and budgetary discretion for implementing air quality plans agreed at the federal and state levels. We compare these cities to test how their respective strategies are improving air quality due to local government being relatively empowered. The third approach involves urban governments with little power over air quality regulation, with powers instead delegated at the state/national level to an independent agency. These agencies often have significant resources to employ experts and engage local communities. City authorities are largely subordinate to the agencies and their principals in national/state government. We will compare Sydney (Australia) and Accra (Ghana) to analyse how this impacts policy and outcomes on the ground. Comparing the New South Wales (NSW) Environmental Protection Agency and Ghana Environmental Protection Agency, we will examine how these bodies drive air quality improvement using the authority and legitimacy they have from developing their expertise and reputation. In our final type of city, there is a one-party government at the national level that has significant influence on air quality governance, although there may be substantial resource autonomy at the local level. Two example cities we will study are Tianjin (China) and Hanoi (Vietnam). These cities have severe air quality problems. In 2013, for example, Greenpeace ranked Tianjin as China’s 11th most polluted city in terms of annual average PM2.5 levels. While they have significant resource autonomy at local levels, rules are set and monitored stringently by the central state and implemented in a top-down way. This is similar in some ways to the unitary approach, but rules tend to be more stringent and there are more resources committed to implementation. It isn’t clear which of these institutional approaches is best for improving air quality. The UK government’s new strategy mixes elements of the four types; introducing a new agency, but also seeking to drive improvement centrally and give local government more powers. Analysing different models enables us to clarify what works and what doesn’t, and in which context. In practice, a mix will likely be best (and there’ll be no ‘one-size-fits-all’), but the crucial points are where and when one model fits better than another. Brexit may provide greater scope for local innovations in the UK, experimenting with the different models we will analyse. Removing the UK from the complex EU system of transnational targets may be a good thing, allowing innovation to resolve a problem that EU countries have struggled to gain a grip of. As Environment Secretary Michael Gove states, introducing the new Clean Air Strategy, ‘The evidence is clear … we must take strong, urgent action’. However, which actions will work best, and where, is not merely a matter of following the scientific evidence on air quality, but experimenting with different governance models as well. 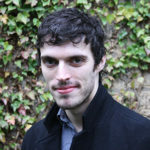 Dr Matthew Wood is a Lecturer in Politics and Deputy Director of the Crick Centre at the University of Sheffield. 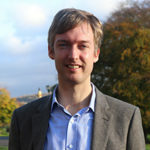 Dr Thomas R Johnson is a Lecturer in Politics at the University of Sheffield. 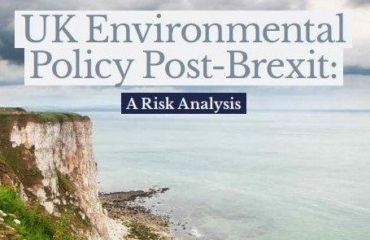 Environmental policy post-Brexit: Still a risky business?